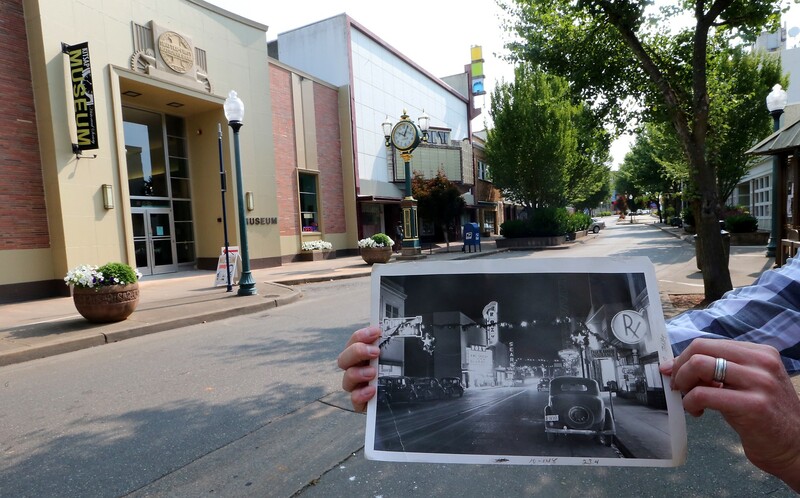 “Certainly marvelous,” “very fine,” and “awful nice,” are how some of the first moviegoers at Bremerton’s Roxy Theater described it to a film crew on opening night. Some of you may recall this five minute video (above) from my July tour of the Roxy. Now, at long last, it’s available for posterity on YouTube. It was a precarious journey. At some point, the original film — whose creators are unknown — was transferred to VHS and then to DVD. A huge thanks is due to the Kitsap County Historical Society and Museum, who kept it for many years. Crystal Yingling, who is spearheading an effort to save the Roxy and restore it to its former glory, got a copy. And at last, we’re able to present it to you now. BLOGGER’S UPDATE, 5.19.16: The Roxy was purchased by Sound West Group in late 2015 and they have begun a full restoration. The Roxy’s future is still far from certain but I do have a few developments to tell you. First, Yingling is teaming up with the nonprofit Downtown Bremerton Association in an effort to proceed with further fundraising. The 660-seat theater is owned by an Oregon investment firm. 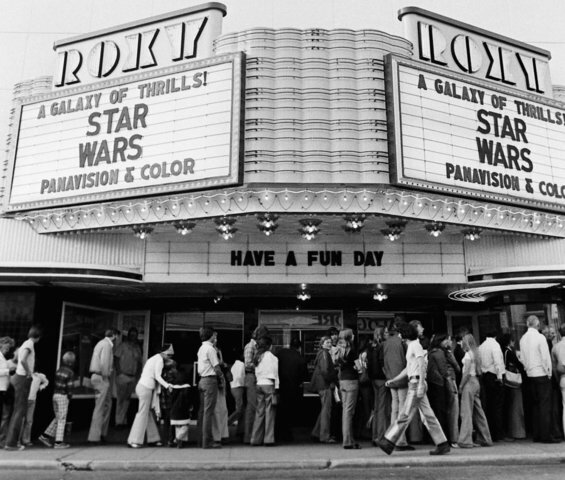 It will likely take north of $1 million to fully restore the theater, which has been on sale for $399,000. There’s also some ideas floating around about that particular tree-lined stretch of Fourth Street. Rice Fergus Miller Architects have been hosted a design charrette this week aimed at redeveloping the street into a retail-residential corridor, with as many as 70 residences atop businesses. In the meantime, please enjoy the film, from the May 31, 1941 opening of the theater. Playing first was “The Devil and Miss Jones,” featuring Jean Arthur. And, as you may have already seen, you can wax nostalgic right next door to the shuttered Fourth Street Theater at the new Wobbly Hops Brewery, which opened earlier this month. If you have any idea who might have produced this video, we’d like to give them credit. Please drop me a line at jfarley@kitsapsun.com. Great job of producing this video. My grandma, Betty Hicox was at the Roxy the night it opened. She was always very proud of her (our) Bremerton roots!!! I’ve got my fingers crossed for the Roxy Revival. Hope they can pull it off. What a great piece of history to share thank you! Yes it will be nice to see the Roxy in all its Glory! Hope the get the Lemon ice cream back also the best!